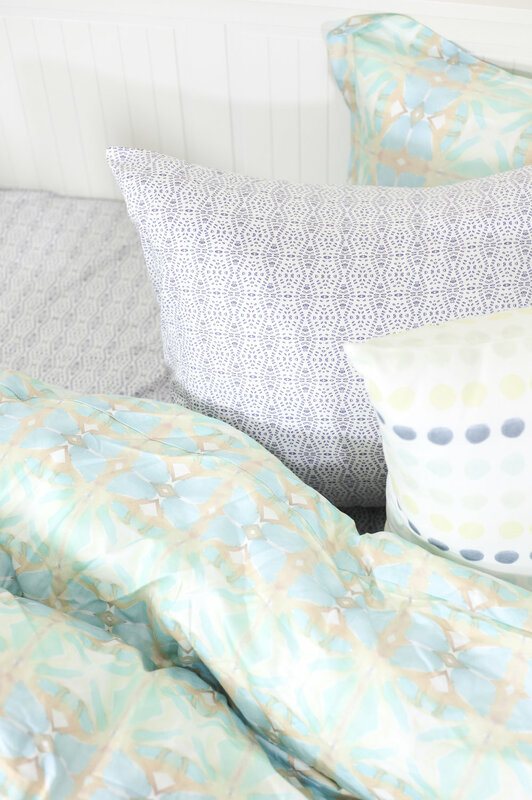 New bedding is here! The Malaga collection is inspired by my year living in the white washed towns of southern Spain. The palette is muted earth tones, european pinks, terra-cotta accents and soothing blues. Get cozy this summer with bunglo!